After completion of the Foundation Year, students take courses offered within five areas of instruction: Art History and Contemporary Culture; Craft includes ceramics, jewellery and metalsmithing, and textiles/fashion; Design; Fine Arts includes drawing, painting, printmaking, and sculpture; and Media Arts includes film, intermedia, and photography. The degree programs at NSCAD are designed to provide a balance of theory and practice. Courses offer credit either as studio credit or as liberal arts and science credits. Studio courses focus on the production of art, craft and/or design, though studio practice and related theory. Liberal Arts and Sciences courses focus principally on the written and verbal analysis and interpretation of historical and/or contemporary culture materials. 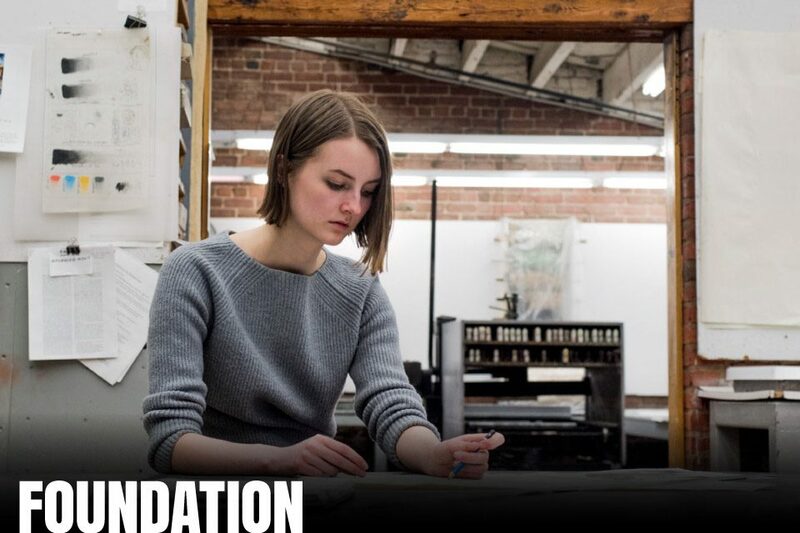 The foundation year comprises the first year of each of NSCAD’s undergraduate degrees. Many students specifically choose NSCAD because of the visual arts foundation component. These exploratory, interdisciplinary courses equip you with the critical skills required to thrive in an art school environment. Our extensive Film program offers you an opportunity to explore the practice, history, theory and analysis of film production and film art. The program combines comprehensive course options in different film production techniques with an academic overview to the history a theory of film arts. Our film program provides you with a broad understanding of the film production process, as well as the opportunity to create and develop your own projects. The Photography major is designed to balance your acquisition of technical skill with the theoretical and conceptual tools required by you as a photographic artist. You will explore the dynamic technical and historical relationships photography has to the world of visual representation.